SWEET MICKY FOR PRESIDENT follows Pras Michel, Grammy Award winning rapper and founder of the hip-hop group, The Fugees, as he returns to his homeland of Haiti post-earthquake and finds a corrupt government in paralysis. With no experience or money, Pras passionately mobilizes a presidential campaign for the unlikeliest of candidates: Michel Martelly, aka “Sweet Micky”, Haiti’s most popular and most outlandish pop star. The idealistic and politically inexperienced pair set out against a corrupt government, civil unrest, and a fixed election system to change the course of Haitian history. When Pras’s former bandmate – superstar Wyclef Jean –also enters the presidential race, their chances seem further doomed and the story takes on the wild twists of celebrity drama. SWEET MICKY FOR PRESIDENT won the Grand Jury Award and Audience Award at the Slamdance Film Festival and won the Best International Director Award at the Documentary Edge Film Festival. Janis Joplin is one of the most revered and iconic rock & roll singers of all times, a tragic and misunderstood figure who thrilled millions of listeners and blazed new creative trails before her death in 1970 at age 27. With JANIS: LITTLE GIRL BLUE, Oscar-nominated director Amy Berg examines Joplin’s story in depth for the first time on film, presenting an intimate and insightful portrait of a complicated, driven artist. Joplin’s own words tell much of the film’s story through a series of letters she wrote to her parents over the years, many of them made public here for the first time. Janis was a powerhouse when she sang, and her recordings have never left the radio or the hearts of her fans. JANIS: LITTLE GIRL BLUE offers new understanding of a bright, complex woman whose surprising rise and sudden death changed music forever. THE ANTHROPOLOGIST unveils the parallel stories of two women: Margaret Mead, who popularized cultural anthropology in America; and Susie Crate, an environmental anthropologist currently studying the impact of climate change. Uniquely revealed from their daughters’ perspectives, Mead and Crate demonstrate a fascination with how societies are forced to negotiate the disruption of their traditional ways of life, whether through encounters with the outside world or the unprecedented change wrought by melting permafrost, receding glaciers and rising tides. Filmed over the course of five years, THE ANTHROPOLOGIST is a meditation on change, both individual and societal. Susie and her daughter, Katie, work with people in Siberia, the South Pacific, the Andes and the nearby Chesapeake Bay, all of whom struggle to reconfigure how and where they live. THE ANTHROPOLOGIST won the Best Environmental Film in the Nevada International Film Festival. WAITING is the story of three Italian, middle-class immigrants, who aim for a second chance in modern New York City. The stories shape each man’s poignant and individual journey through challenges and the constant fear of failure. This intimate look into their daily routines and dreams shows their difficulties and achievements as they pursue their individual paths. Floriano Pagliara is a professional boxer looking for self-validation. Paolo Buffagni is a former actor who reinvents himself as an opera singer. Paolo Inferrera ultimately wants to open a restaurant in New York. WAITING is about a longing for acceptance as a modern settler. The voiceover is by John Turturro. The film won the Big Apple Film Festival Cityscape Award and a 2015 Spotlight Documentary Film Award. Cancer is no laughing matter but director and cancer survivor Meghan L. O’Hara, in her film THE C WORD, humorously aims her zoom lens at the multi-level, systematic problems in cancer care: habits that predispose us to disease and a fixation on treatment instead of on the root causes of our ailments. The film asks the question: With all of the resources and efforts in the war on cancer – why are we still losing? And in asking the question, a band of quirky rebels, led by narrator Morgan Freeman, reveals some amazing truths that no one is talking about on a grand scale – until now. At the film’s heart are two powerful, parallel journeys: one focusing on celebrated French neuroscientist and cancer revolutionary Dr. David Servan-Schreiber, the other on Meghan herself. After braving the wild trip from diagnosis to wellness, Meghan joins forces with David in a new movement that dares us to stand up and reclaim our health. The new question becomes: if 70% of cancers are preventable … what are we waiting for? In his riveting documentary, Emmy-Award winning director, Slawomir Grunberg, re-creates the death-defying mission of Jan Karski, who risked his life trying to prevent the Holocaust by revealing his eyewitness accounts of the atrocities perpetrated on the Jews in Poland during WWII. No one listened, no one cared. ing the outbreak of WWII, he was imprisoned as a POW. He managed to escape and became involved in the Polish underground. Highly intelligent and fluent in many languages, he was appointed emissary of the Polish Underground State. One of his missions was to go undercover, infiltrating the Warsaw Ghetto and a Nazi transit camp to deliver to the world eyewitness accounts of the unfolding “final solution” of the Jews. “Without the intervention of the Allies, the Jewish community will cease to exist in eighteen months time,” he reported in the so-called Karski Report. His shocking eyewitness accounts were smuggled out of Poland and handed over to American and British politicians, journalists and artists. The most dramatic appeals for help were to the British Foreign Minister, Anthony Eden and to the President of the United States, Franklin D. Roosevelt, who Karski refers to as ” the lords of humanity.” These appeals for help for the Jewish people yielded no results. The majority of people didn’t believe him, and nor did the heads of the Western allied powers. Jan Karski received a posthumous Presidential Medal of Freedom awarded by President Barack Obama. Despite a tangle of roadblocks and checkpoints, a thriving street car racing scene has emerged in the West Bank. Held at improvised tracks – a vegetable market, an old helicopter pad, a security academy – the races offer a release from the pressures and uncertainties of life in Palestine. The fanfare and rivalry between cities brings spectators out in droves, lining rooftops and leaning over barricades to snap photos of their favorite drivers and to catch final times on the scoreboard.Brought together by a common desire to live life on their own terms, five determined women –Marah, Betty, Noor, Mona and Maysoon – have joined the ranks of dozens of male drivers,competing against each other for the title, for bragging rights for their hometown, and to prove that women can go head to head with the guys. SPEED SISTERS was awarded Best Documentary at the Adelaide Film Festival and the Audience Award IFI Documentary Festival. 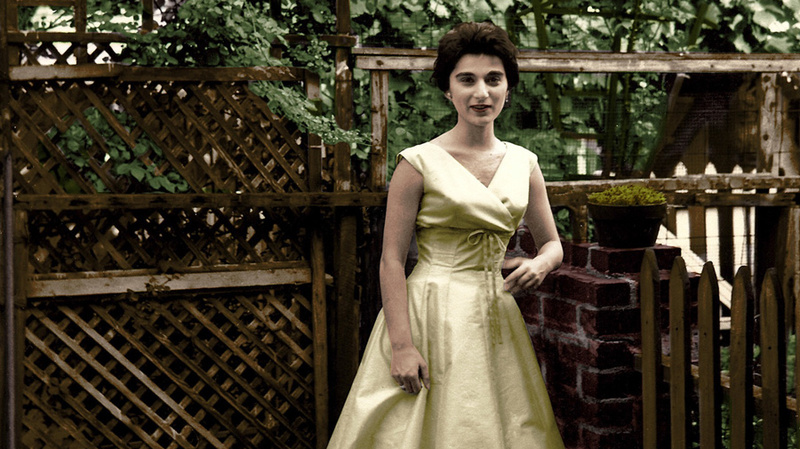 THE WITNESS is a riveting true account of a brother’s journey to unravel the truth about the mythic death and little known life of Kitty Genovese, who was reportedly murdered in front of 38 witnesses and has become the face of urban apathy.